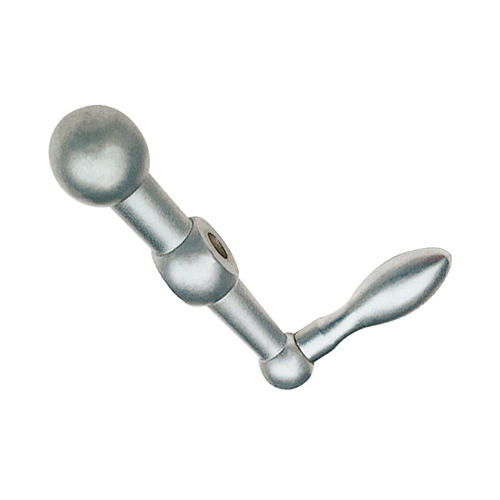 Request a quote for Steel Tri-Ball Crank Handle today. This tri-ball crank handle from JBF National is manufactured from the highest quality matt silver finished steel, and has been designed and tested for ultimate reliability and durability. The tri-ball design provides appropriate counterbalance which allows for optimum control and the highest adjustment accuracy. Direct axle mount with various center hole bore sizes available. Please see component diagram below.